The process of eliminating debt is not complicated. It is difficult; but not complicated. Eliminating all debt is a step very few people will take. Some people who learn how to eliminate debt will do a small portion of what is needed, but very few will actually follow through until they are completely debt free. Statistically, only 10% of people who say they want to become completely debt free, and then begin the process, will actually follow through and make it happen. That means 90%, which is nine out of every ten people who say they want to become debt free, will not make the effort. That is why so many people are in debt. In my list of favorite quotes, you will see two quotes from Albert E.N. Gray from his essay "The Common Denominator of Success." These two quotes really apply to our discussion about eliminating debt. "The successful person has the habit of doing the things failures don't like to do." "It is easier to adjust ourselves to the hardships of a poor life than it is to adjust ourselves to the hardships of making a better one." This second quote gives us a keen insight into human nature with regard to finances: most people would rather adapt themselves to the stress, discouragement and aggravation of dealing with debt and financial stress, than deal with the sacrifice, along with the mental and emotional effort, required to get to the point where they would no longer have to even worry about the financial problems that are causing so much stress now. Why is it so much easier to just deal with the stress? Because dealing with the stress requires no budgeting, planning or preparation. You simply adjust to the financial problems as they happen and slowly get used to the stress that accompanies them. In fact, most people don't even realize that some of the other problems in their lives, especially relationship problems, are often a result of the financial stress. They don't seem related; but, trust me they quite often are. Okay, so how do we eliminate debt? There is no way you can get out of debt while adding on new debt. You have to stop using credit cards--you have to stop borrowing money in any way. To do this, you have to plan your spending in advance so you can avoid the need to borrow money. You absolutely must create a budget. Step 2: Set aside some money as emergency savings. The second step is to have at least a minimal amount of savings put away for all the little financial emergencies that come up in our lives. Before embarking on a plan to eliminate debt from your life, you want to have about $1,000 in emergency savings. This is money that you have no idea what it will be used for. If it is for future expenses like insurance, mortgage payment, debt payment; then it is money put away for future bills and does not count as emergency savings. You need this emergency savings to cushion you from unexpected expenses while you are getting out of debt. If you haven't yet done so, this is a good time to read my article entitled You Need Savings. Step 3: The Debt Ladder. In order for the Debt Ladder strategy to work, you have to be able to free up some extra money to get the process going. As I said earlier, you need to have and follow a budget. When you follow the plan to create a budget I gave in the article You Need a Plan you should have freed up some money for a savings category in your budget. If you don't already have your $1,000 emergency savings, then use this savings category along with any other money you can get your hands on, to build up your $1,000 emergency savings as quickly as possible. When I say any other money you can get your hands on, I mean it! Use money from side jobs, babysitting, overtime at work, money received as a birthday gift, money received as a Christmas gift, money you found on the sidewalk--absolutely any money you can possibly free up. 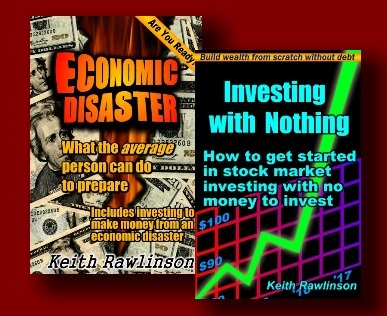 The faster you free up money, and the more money you can free up, the sooner you will have your $1,000 emergency savings and be on your way to becoming wealthy. Here's how it works. You make the minimum payment on all of your debts and add the money you have managed to free up to the payment on the debt with the smallest balance. This will be the debt you listed at the top of your Debt Ladder. You do this until that smallest debt is paid off and gone. This should happen fairly quickly since you are starting on the debt with the smallest balance. Once that debt at the top of the ladder is paid off, you take whatever payment you were making on it, plus whatever money you can manage to free up, and add it all to the minimum payment you're making on the next debt on your ladder. This will be the one with the second lowest balance on your original Debt Ladder. Making a payment this large will result in that second debt being paid off fairly quickly. After that second debt is paid off and gone, you take all of the money that was going onto that debt, plus all the money you can possibly free up, and add it all to the payment you're making on the next debt down on your ladder. As you can imagine, the amount of money you are paying on each debt gets larger and larger as you work your way down the Debt Ladder. If you stay with this and are diligent about doing it the way I have described, by the time you get to those larger balance debts lower on the Debt Ladder, you are putting quite large chunks of money into paying them off. Assume I have created a budget and eliminated things from my life I don't need right now such as cable TV, eating out, vacations, etc. I first build up my $1,000 emergency savings and then go on to the first debt on my Debt Ladder. In this case, that is a $78 doctor bill. There is no minimum payment since the doctor wants to be paid in full all at once. But, it is also a very small balance compared to the others and is at the top of my Debt Ladder, so I should have enough money from cutting back on my spending to just pay the whole thing off at once. We're only talking about $78 here so that happens within the first month. Now that first debt is gone. Now I go on to the next debt, my brother-in-law. He also wants his money all at once, so I make my minimum payments on all the other debts and use any extra money I can possibly scrape together to pay him off. It's only $200 and I've been scraping together an extra $100 per month, so he is paid off in two months. The debt to my brother-in-law is now paid and gone. Now I'm on to the Visa Card debt. My minimum payment on this debt is $40. But, I have managed to scrape together an extra $100 per month to put on the bill, so I'm paying $140 per month. At that rate, the Visa Card bill is paid off in about six months. By this time, I've gotten very motivated to get out of debt and have taken on an extra part-time job which generates an additional $500 per month. And since I really, really want to be out of debt, I also sold a $900 four-wheeler ATV I really didn't need. My minimum payment on the Master Card is $100. Since this is the next debt down on my Debt Ladder and I have extra money from the sale of my ATV, I first put the $900 from the ATV on the Master Card debt which immediately drops it to $1,100. I put the $140 dollars I was paying on the previous debt with my $100 payment to Master Card, add in the $500 per month from my part time job, and start sending Master Card a total of $740 per month. At this rate, Master Card is paid off in about two months. Now, on to the Discover Card balance. I add the $740 per month from the previous debt on the ladder to the $150 payment I've been making on the Discover Card and start sending them $890 per month. They are paid off in about four month. I have been doing this for a little over a year at this point, but look how much of my debt is now gone. I've got a ways to go yet, but having that debt gone feels pretty good and has really reduced the financial stress I've been living with. I take that $890 per month I was sending to Discover Card, add it to the $86 minimum payment on my student loan, and start sending in $976 per month. My student loan is paid off in about eight months. Since I've been making my car payment all along, my car loan balance by this time is $15,000 instead of the $18,000 it was when I started my Debt Ladder. I add my $335 car payment to the $976 from the previous rung on my Debt Ladder and start paying $1,311 on my car. My car is paid off in eleven months. It's amazing how much better I feel emotionally and physically now that so much of my debt is gone. To tell you the truth, I have really gotten used to living without all the extra "stuff" and the extra spending I used to have. I have really gotten used to my new "get out of debt" lifestyle. I take my $1,311 and add it to my $290 Home Equity loan payment. I start sending them $1,601 per month and they are gone in one year. At this point I have been working on my Debt Ladder for 3 1/2 years. I have paid off everything but my mortgage. Financial stress is pretty much gone from my life. I'm sure glad I was willing to spend the 3 1/2 years it took to get here. It sure felt good to be able to cross off each of those debts as I went along. If I want to, it is all right to stop at this point. I am out of debt except for my mortgage and it is acceptable to end my Debt Ladder right here. If you wish, though, you could stop at this point, build your emergency savings up to six month's worth of income, and then continue with the Debt Ladder until your mortgage is gone, but it is not a requirement to eliminate your mortgage at this point. Now that I'm out of debt except for the mortgage, I have $1,601 extra every month. I decide to quit my part time job so I now have $1,101 per month extra. This is money I don't have to pay out to anyone. I now have $1,101 to do with as I please! The first thing I do is use $1,101 the first month to buy myself a four-wheeler ATV to replace the one I had to sell to get out of debt. Then, I start putting $1,000 per month into the bank to build my emergency savings up to six month's worth of income, and spend the extra $101 each month just for fun. After I get my emergency savings up to six month's worth of income, I start putting my $1,000 per month into a good Growth Stock mutual fund. After five years, I have about $80,000 in my mutual fund. After ten years, my mutual fund has grown to $217,000! When I retire in twenty years, I will be completely out of debt, my house will have been paid off, and my mutual fund will have grown to $866,000! I think I'm really going to enjoy my retirement. Sure glad I found the Eclecticsite.com Financial Page. In this example I was able to make minimum payments on all of the debts while I was doing my Debt Ladder. If you can, making all of your minimum payments is what I recommend; however, quite often some of the payments aren't being or can't be made. In this case, you still continue to work on the Debt Ladder just as I have described here. If letting something go unpaid is the ONLY way to get your Debt Ladder going, then so be it. All of the creditors will be getting paid in full eventually. If any of them are giving you a hard time about it, it might not be a bad idea to contact them to let them know that you are working on it and that they will eventually get paid in full. But before you dare let something go unpaid, make sure that you have done everything you can to eliminate ALL unnecessary spending from your life and are selling things you can do without. Make sure you have created a written budget, and make sure that any and ALL extra money you can scrape together is going toward your Debt Ladder. If you have to use any of your $1,000 emergency savings while working on your debt ladder, you just go back to the minumum payments on the debts and concentrate on getting your emergency savings back up to $1,000. Once your emergency savings is back up to $1,000 then go right back to where you left off on your debt ladder. Yes, this is a fictional account. But, it is based on real-world numbers. Maybe your income is quite a bit less or your debt is quite a bit more so it will take you longer to get out of debt. Maybe you can free up all kinds of extra money and are able to get out of debt much, much faster. Once I decided to become debt free, the 3 1/2 years in this example is about what it took me. I was focused. I didn't care who thought I was nuts, and some people did. I didn't listen to the people who said I should have a nicer car or bigger house or fancy vacation. It was my life not theirs, and I determined that my life was going to be lived debt free. By the way, some of those same people now want to know how I did it. Regardless of how long it takes to become debt free--it is worth it! It took a lot of sacrifice, a lot of discipline and a lot of work, but it was really, really worth it! Only 3% of Americans are completely debt free. With all of my effort and discipline, I was able to put myself into that 3%. If I can do it, you certainly can too. Sure, it could take you 3 to 6 years or more to become debt free, but if you don't get started, where will you be in 3 to 6 years? You will still be struggling and financially stressed. You will most likely be broke. You will think back to this day and wish you had started your Debt Ladder those 3 to 6 years ago. Don't let that happen. Get started today! ...the borrower is slave to the lender.